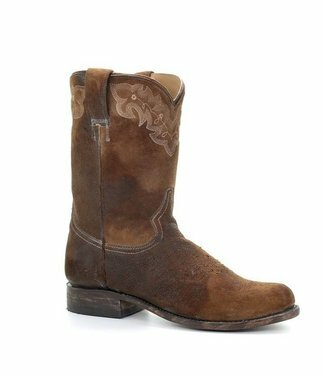 At the beginning Corral started making men's boots, but the problem was that all similar brands were doing exactly the same - exotic leather boots for men. 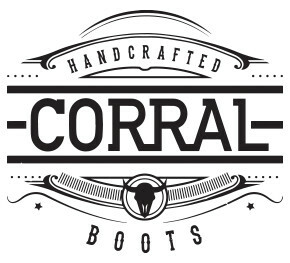 So Corral decided to focus on what others didn't have and what was missing in the market was a good selection of ladies boots. Finally in 2000 Corral launched its first collection of western boots for women. Very soon Corral began to skyrocket and the brand was not just in Texas anymore, it spread all over United States. In 2006, a part of the Corral business was sold to his friends in Mexico who helped get the company going in Mexico. 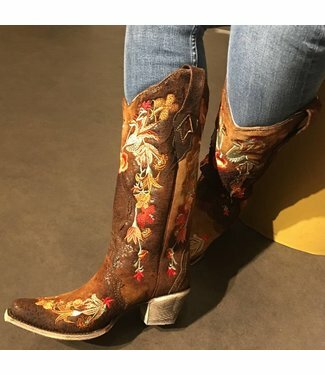 Black tall top boot for women, the boots have black stitchin..
A short brown leather cowboy boot with a zipper and a buckle..
Short brown leather cowboy boot with harness over the foot b.. Cowboy boot made in bone and black cow leather. This mid ca..